Two completely different artists died a few days from each other. Both have had some impact on my musical experience though in a totally different way. Peter Tork, born as Peter Halsten Thorkelson, was born in 1942 and grew to fame as an actor in tv series about the life in a pop band. Although the television show lasted only for two seasons, the fame of The Monkees have outlasted any expectations. I was too young to truly appreciate the impact of the series. Especially as my parents did not care for television, so we did not have a set at the time. I must have seen something as The Monkees certainly were on my mind. The hardcover comic book on The Monkees that lies somewhere in the attic attest to that. Three hits especially have stood the test of time: 'Last Train To Clarksville', 'I'm A Believer' and 'Daydream Believer'. These three will be the songs that the band, if we can speak of a band here, is forever be remembered by. The theme song certainly is another favourite of mine, as is the sweetest of the band's hits 'Pleasant Valley Sunday'. The role, musically, of Peter Tork has always been something of a mystery to me. Micky Dolenz sang most of the hits, while Michael Nesmith was the real musician of the four, having scored hits on his own accord in the 70s. Davy Jones was the professional actor with the very good looks. So I was too young for the show, and have never seen a rerun of by the way, but not for some of the hits as they always came by on the radio. 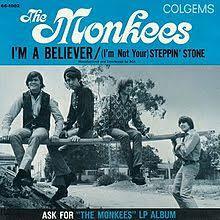 They were written and mostly played by others, but since then they are The Monkees' hits. The four some have gained a popularity that lasted. Now two of the four have gone. Mark Hollis is a produce of the dark 80s. Talk Talk was not an easy band to digest. The music was dark, complex and becoming ever complexer. At the same time the band produced a few fabulous hitsingles. Not that I play them any more, but when they come by on the radio, I always prick up my ears. 'It's My Life', 'Such A Shame', 'Happiness Is Easy', 'Life's What you Make It' and 'Living In Another World'. Especially 'The Colour Of Spring' was an album I liked at the time. 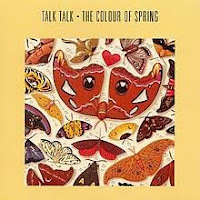 Talk Talk made music that was different, yet not too unlike Tears For Fears. That all changed with the album 'Spirit Of Eden', one of the first cds I ever bought on the basis of its single. The album unfortunately was a bit too much to stomach for me. At least at the time. Perhaps I should give it a go 30 years down the line. After that I lost touch with the band. Not that a lot happened since. Mark Hollis disappeared from the music scene in the 90s. Perhaps disillusioned or had he said all that he had to say. 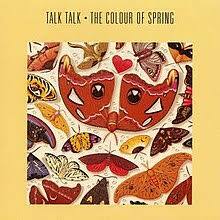 In some of the reactions to his demise I read that Talk Talk was seriously underrated. I do not have that impression here in The Netherlands. No, the band never made the greats, but certainly was appreciated at the time. It scored several hits and albums made the charts. The hits still come by fairly regularly on the radio. So, no the band is not forgotten. True, I haven't played anything by the band for at least a decade, probably two. That I cannot say for The Monkees. Only last week I was playing 'I'm A Believer' and threw in 'Daydream Believer' for good measure. If only because my band is going to play the song soon. That is something I cannot say for Talk Talk, probably ever.